What is Smarketing (Sales + Marketing)? Over the past few years, a term has been growing around the water coolers of many a tech company — “Smarketing”. Some think they know what it is, and really don’t. Others know what it is and don’t see the value in changing their processes to match the idea. Most good-sized organizations will have both marketing and sales teams. The job of marketers is to produce content (ads, resources, visuals) that will be used to draw in the right kind of leads into the funnel. In some organizations, the marketing crew will even monitor new leads until they reach a point (based on data) that marks them ready for the sales team. The sales team then takes the “qualified” lead and does what they do to get the account. If your company works like this, you may be closer to smarketing than you think. If not, you may have a marketing team that just calls as many people into the lead basket as they can and your sales folks are left to figure out whether or not the lead has any need of your product. How are companies combining the efforts of their sales and marketing teams? What are they key metrics to measure the effectiveness of the sales and marketing combination? What are some of the best tools to help integrate sales and marketing efforts? Give a detailed definition of the term in question. Take a loose, but effective look at the process. Offer practical tips about going from where you are to a little closer to the model. Smarketing: The process of integrating the sales and marketing processes of a business. The objective is for the sales and marketing functions to have a common integrated approach. That sounds simple enough, but simple definitions often lead to long explanations. 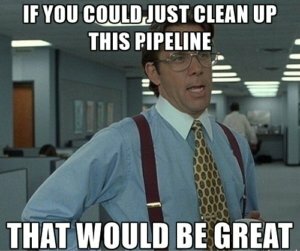 If you picture a pipeline with two sections of pipe. One is marketing and the other is sales. How well you connect and fuse those pipes together, the less likely it is for what is flowing through them to leak when they go from one piece of the pipe to the other. Translation: Leads that have a rough transfer from marketing over to sales are more likely to leak (lose interest, get offended, get confused). That transition has many organizations losing money that they may not even know about. You fix this by fuzing the two departments into one to the best of your ability. If your sales are growing, you have a new launch coming out, or you have other business-type things to worry about—chasing a new strategy may not be that appealing. That’s understandable, but the data should be enough to make you perk up. In one study, organizations that had an effective sales and marketing alignment achieved 20% annual revenue growth! It doesn’t matter what you have “on the table” or how many “irons in the fire”… You get the point. If your growth isn’t 20%, smarketing just became important. The term also has it’s own Wikipedia page, so I guess you can say it’s becoming more “established”. Ideally, having your sales and marketing folks realize that they’re not so different, that everyone is working toward the same goal, and then work together to better meet that goal is the dream of smarketing. Some define the process as simply improving communication between departments, but that isn’t much of a difference. It’s a matter of roles being differentiated and defined to become pieces of one overall funnel—as opposed to two (one sales, one marketing). You don’t want to lock everyone in a room until they see eye to eye. That’s not what it looks like. Instead, you want to introduce tools, processes, and resources that alleviate common issues and help everyone improve their performance. Let’s take a second and talk about each. Marketing is typically responsible for content that educates leads and nurtures them until they are deemed ready to move to the sales team. That content can be case studies, white papers, webinars, and other forms all used almost exclusively by the marketing folks. But the sales team can use those resources, too. Ok, that may be a bit dramatic. The point still remains. If the marketing team creates resources specifically for your ideal buyers and puts them in the hands of your reps (who are talking with those ideal leads)—it’s a recipe for success smarketing. Just because you are trying to combine two departments doesn’t mean that you’re trying to simplify your sales process—it’s actually the opposite. In order to have a successful singular process to sell your stuff, it will take multiple roles laid out in tremendous detail. Everyone should know exactly what they are doing during the work day and it should always be a part of the one big picture. The entire process should be understood by all on the team. Your SDRs and BDRs should know the content creation process (to a certain extent) and be allowed to interact and make suggestions for new content that helps nurture leads. Closers should understand and be privy to all conversations and marketing engagements of the leads they are going to speak with—it only makes sense. Tech has created a sales and marketing renaissance over the past two decades. It has made code writers into sales people and made sales people more tech savvy. And it’s only improved the way people are selling. If you really wanted to argue, you could say that technology has also created the current beast of consumerism. The same wave that brought us sales tools also makes anyone an expert just by doing a search on their smartphone—making it harder to sell them. While we’re all waiting on Skynet to become self-aware and start hunting us, we’ll get back to the conversation. Customer Relationship Management (CRM): This software should be like a member of the team. It’s likely you’re already using one, but if your sales and marketing teams are disjointed—it’s not being used to its fullest potential. Communication: We use Slack, because it integrates with just about every other tool you could imagine. The point is, you want communication to be fluid and group in all who are needed in the conversation. So much cleaner than email chains. Content Management: You want your content (both being created and finished) to be easy to create and find. For creation we use Trello, it’s easy and clear. A good CRM will have an area for content to be quickly found by your reps. If not, there are other solutions. This is by no means an extensive list. There are dozens of tools in each tool type that can all be used to better integrate your sales and marketing (slow introductions are better when it comes to tools). While the process is going to take time (more or less depending on your current process/setup), it should be a “figure it out as we go” situation. Sure, you can try something and change it. That said, the overall goals and process should be detailed out before you actually get started. You’re essentially changing how your business interacts with leads, which means messing with your revenue stream. Don’t take that lightly—you’ll need a Service Level Agreement (SLA). What’s a Service Level Agreement? It’s a contract that lays out how the smarketing process should look like. You’re probably thinking that creating one will take some time. You’re right. It’s not so much that one of these documents has to be in place before you integrate. It’s more like you have a goal to hit, you try to implement it and you’ll change it along the way. It could take some time before you get to your finalized SLA, but you’re working toward it. Ideal Buyer Profile: All of the traits of your favorite (and most common) clients rolled into a few profiles that let your team know who to reach out to and how to sell your products to them. Lead Definition: A lead takes on several forms in the life of a funnel. Ensuring those terms are laid out and understood by all takes putting them on paper (e.g. SLA). Nurturing Practices: What is the path that your average leads will take? What segmentation is involved? When are leads ready for a demo/pitch? Tracking Details: Labeling and laying out which details are important to track and which ones aren’t. There are others, but this will get you started. HubSpot has a great guide here (for further reading). Just tearing down the wall that separates your sales and marketing departments won’t work. You will need a lot of trial and error, process writing, and tool testing to integrate properly. The benefits are there and enough companies have paved the way for you to learn plenty about what has worked (and not worked) for others—probably in or close to your industry. What does your current process look like? 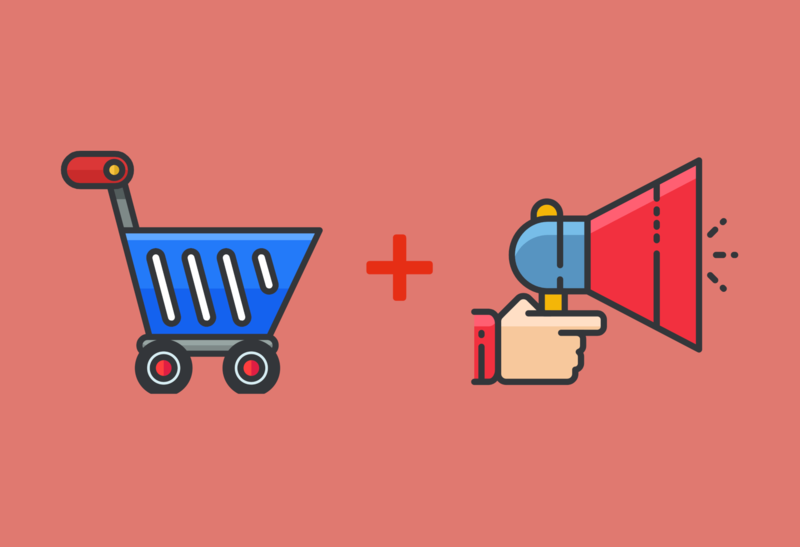 Are sales and marketing separate? Are you still the marketing and sales head? Smarketing! That’s a really witty term, Josh! Did you make this up? Or you got this from somewhere? Nonetheless, the sound of it brings a smile on my face. Anyway, to answer your parting question, we’re happy to share that our sales and marketing teams are working together and both are equally prioritized. They are co-dependent. If you (or your readers) are interested, here are a few tips on how to align a company’s sales and marketing goals. Definitely didn’t make that up. It’s been rolling around the web for a while. Glad to hear you all at Tenfold already have a working alignment!